On March 21, five experts from our community addressed our region’s ability to sustain population growth. Part of the RTP area’s success is attributed to the hundreds of people moving to the Triangle each week. With that comes new businesses and housing developments. 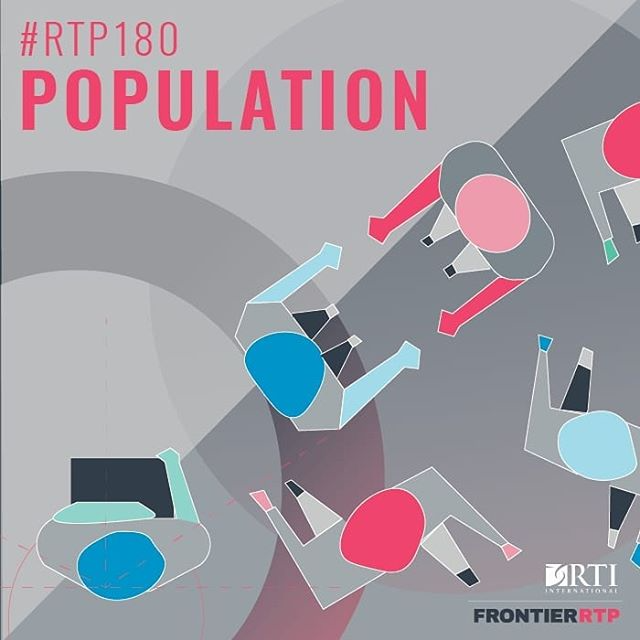 At RTP180: Population, we learned about The Triangle’s big plans to achieve sustainability, and discussed challenges such as gentrification, food security, and transportation. Bonnie Danahy of Open Data Raleigh discussed an open data website with Raleigh population statistics. Open Data Raleigh is currently working on a prototype report on Citizens Advisory Councils (CACs), which will be based on physical area, rather than population. People need access to data for different reasons. Bonnie mentioned that Open Data Raleigh’s current focus is to add visualization along with the data sets, so citizens will have a narrative that will help them better understand the information they are absorbing. Watch Bonnie’s talk here. Donnarie Hales of BASF shared her dream of helping farmers nationwide and ensuring food security for future generations. With today’s population changes in trends, BASF is tasked to feed more people with fewer farmers. One of the popular strategies for today’s farmers is to diversify their crops. The key takeaway from her talk was that generations of families are behind the food we eat. This ties in with BASF’s community outreach efforts to see that the families’ work makes an impact in North Carolina. Watch Donnarie’s talk here. Patrick Young of Durham City-County Planning Department presented on gentrification in Durham. About 40,000 people have moved to Durham since 2010! With the explosive growth, particularly with single family homes, residents now worry about displacement from the neighborhoods they have lived in for years. On top of identifying affordable housing options for citizens, Patrick informed us that the Mayor has proposed a $95 million housing bond Durham has plans to change perception the county’s school system to encourage middle aged cohorts to invest in schools for the future. Watch Patrick’s talk here. Hannah Parkin of U.S. Committee for Refugees and Immigrants (USCRI) North Carolina Field Office discussed their efforts to resettle refugees, which include case management services, mental help services and legal services. Hannah demonstrated that migration is mutually beneficial for both NC and immigrants. Our state has excellent resources that can provide educational and economic opportunities. 40% of foreign born adults have a bachelor’s degree or higher, and contribute a purchasing power of over $20 billion, with Asian- and Latino-owned businesses contributing billions of dollars to the economy. Watch Hannah’s talk here. Sara Ellis of Raleigh Planning Department highlighted long-range city planning policies for a healthy and prosperous Raleigh. Policies change based on the market conditions and the population density. Think about it: an increase in population means more cars on the road … and more cars means more traffic! The Raleigh Planning Department working on creating a pedestrian-friendly environment within the urban corridors. Another long-range plan is to focus on a specific region and provide recommendations on other population growth issues. such as transportation and land use. Watch Sara’s talk here. Ready for more #RTP180? Our next topic is Art—be sure to reserve your tickets for the April 18 event! Thanks to presenting sponsor RTI International for enabling us to provide a platform for our community to share their knowledge. A big congratulations to them as well on their 60th Anniversary! We’re also glad to have UNC-TV as our producer—if you can’t make it to any RTP180 event, you can catch the live stream beginning at 6:00PM EST the day of the show at ncchannel.org, and be sure to follow along with us on Twitter using #RTP180.